What Causes ADHD? Is There A Link Between ADHD And TV? 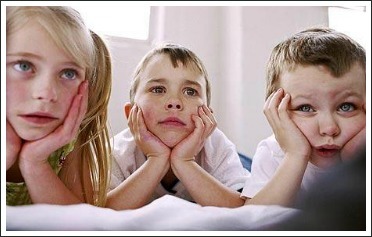 You are here: home / children and TV / what causes ADHD? You may be wondering what a page about what causes ADHD is doing on a website about books and reading. Well, I guess it's no secret that children are spending far less time reading for pleasure these days than they used to. More importantly, they're spending far less time reading than they need to do to get really good at it. When I looked into why this might be, I found that children stopped reading so much once TV became a big part of their lives. The research that talks about this also talks about a possible link between ADHD and TV watching in young children so I thought I'd try to condense the information for the benefit of parents who may be wondering whether they should limit their children's TV watching to encourage them to read. The studies all indicate that the rate of diagnosis has increased dramatically over the past 50 years so it makes sense to look at what sorts of things have changed in the lives of our children over the past 50 years. Can Watching TV Cause ADHD? As the number of hours children spend watching TV has gone up, so has the number of children diagnosed with ADHD and ADD. Children's TV shows started in the 1950s but the number of hours of TV children routinely watch increased dramatically in the mid-1980s when VCRs became common in homes. As pay TV and cheap DVDs became available in the 1990s and 2000s, more children began to watch even more hours of TV every week. In fact, some children in countries like the US and Australia now routinely watch 20-30 hours of TV every week. This is many more hours than the research recommends. Another problem is that more babies and very young children are now watching TV. This is significant because it means that, by the time a child is seven years old, he or she has accumulated a frightening number of TV-viewing hours. 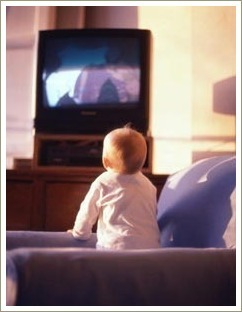 It also matters because of effect TV has on the development of a baby's brain. Could Letting Your Baby Watch TV Cause ADHD? An enormous amount of brain development takes place during the first two years of a baby’s life. This is the time when connections are made between the billions of neurons with which we are born and researchers believe that early exposure to television during the crucial early years between birth and the age of two disrupts this ’wiring' of the brain. How does this work? Researchers believe that if the hours of TV watched exceed a certain level, a child's brain may be wired to respond more to the TV environment (rapid changes of sounds and images) than the natural environment. This is because life as it’s portrayed on TV is greatly sped up. Real life as we experience it on a day-to-day basis unfolds at a much slower pace. To a young child watching TV, the quick scene shifts of video images become ‘normal’ when in fact they’re not normal or natural at all. Exposing a baby’s developing brain to videos can in fact overstimulate it, causing permanent changes in developing neural pathways. It also seems that the insistent noise of television in the home may interfere with the development of inner speech which is the way a child learns to think through problems and plans and restrain impulsive responding. Watching too much TV in early childhood may not be the whole answer to the question of what causes ADHD, there does seem to be enough evidence to suggest that we should limit our kids' viewing hours. The problem is that the damage done by too much exposure to TV too early only shows up at around the age of 7 when the child has difficulty paying attention at school and by then it may be too late.